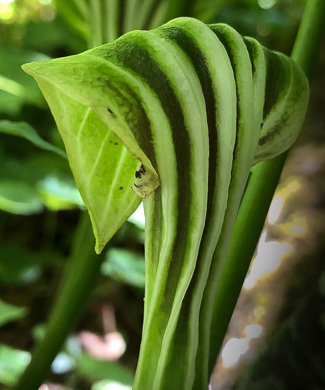 Your search found 37 image(s) illustrating the term "spathe." 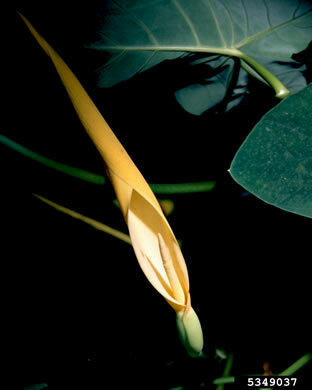 For a written explanation, click on "spathe" in the Glossary. 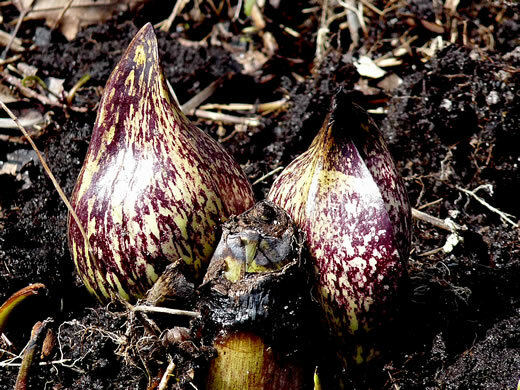 The brownish-purple, fleshy, hoodlike spathe is usually striped or spotted, per Wildflowers & Plant Communities of the Southern Appalachian Mountains and Piedmont. 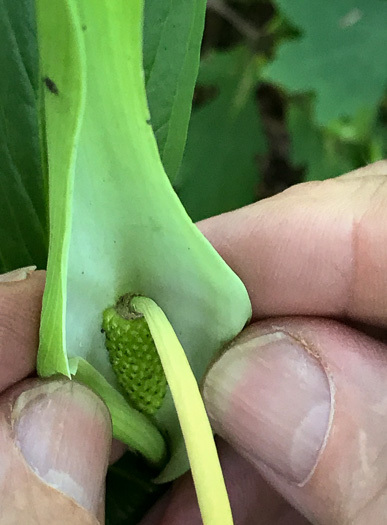 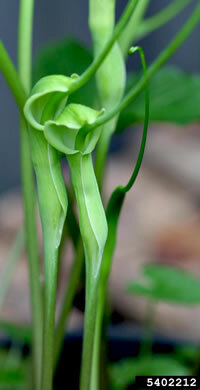 Spathe flange much wider than in A. stewardsonii, acuminatum, or pusillum, per Weakley's Flora. 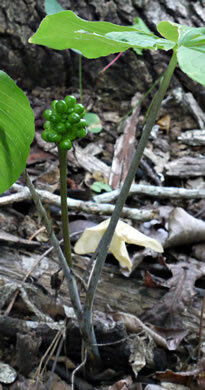 Tube of spathe deeply furrowed on the outside, forming conspicuous ridges, per Newcomb's Wildflower Guide. 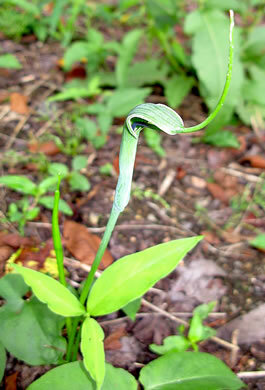 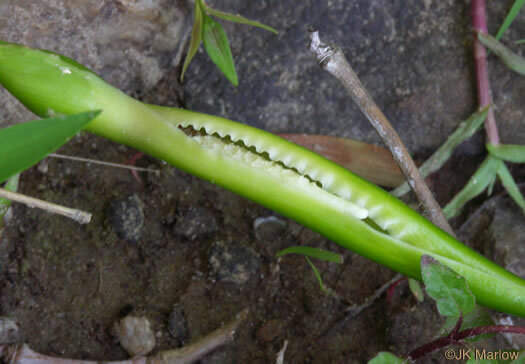 Spathe persistent, slightly constricted between tube & blade, per Flora of China. 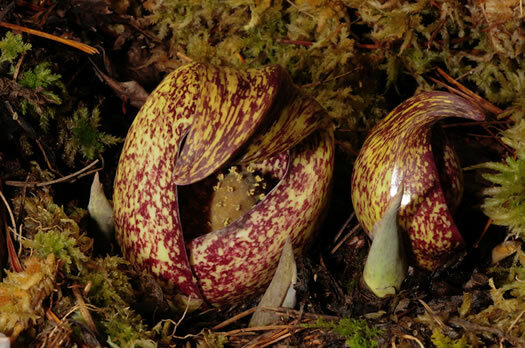 Flowers from within greenish spathes, usually in a terminal cluster, per Wildflowers of the Eastern United States. 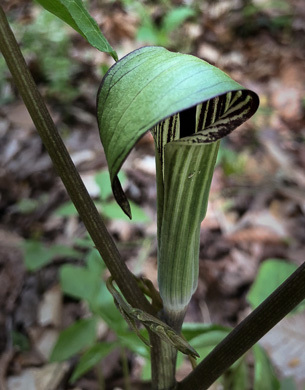 Numerous terminal spathes [easier to see here with the flowers gone], per Wildflowers of Tennessee, the Ohio Valley, and the Southern Appalachians. 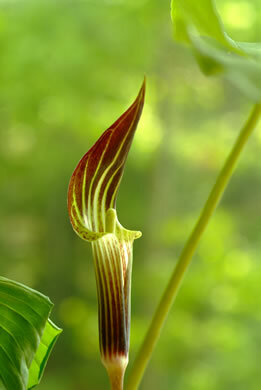 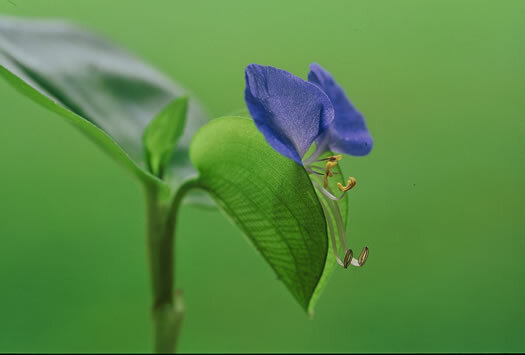 Flowers are subtended by a folded, heart-shaped spathe, per Wildflowers of the Southern Mountains. 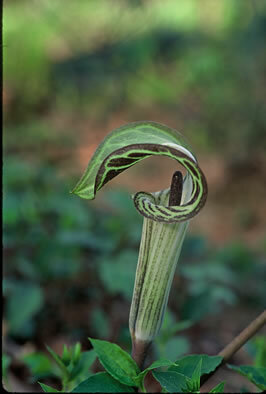 Spathes generally pale toward peduncle, with contrasting dark green veins, per Weakley's Flora. 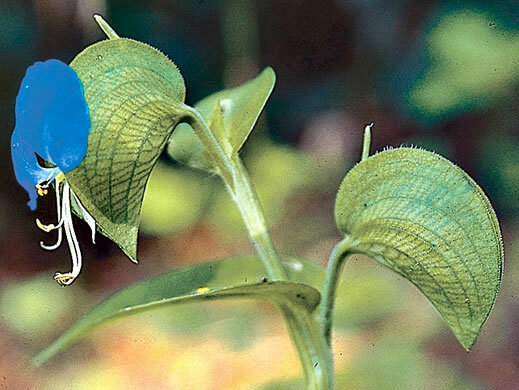 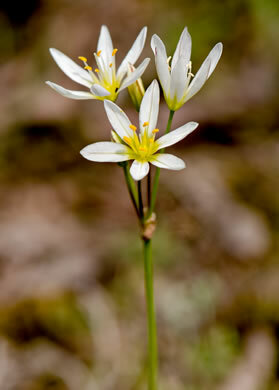 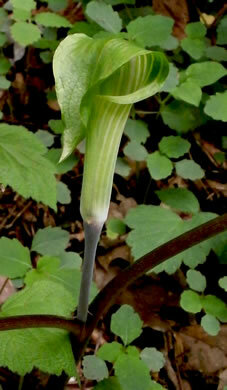 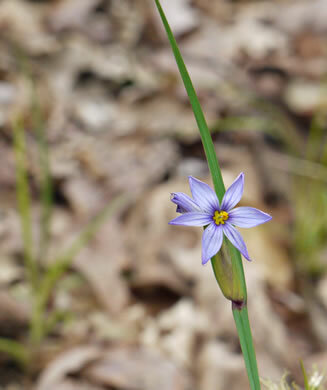 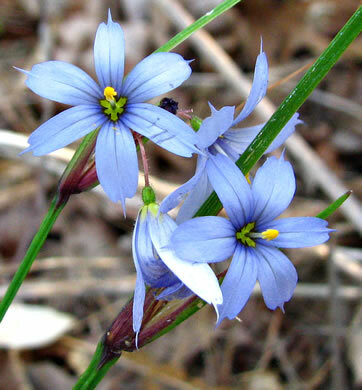 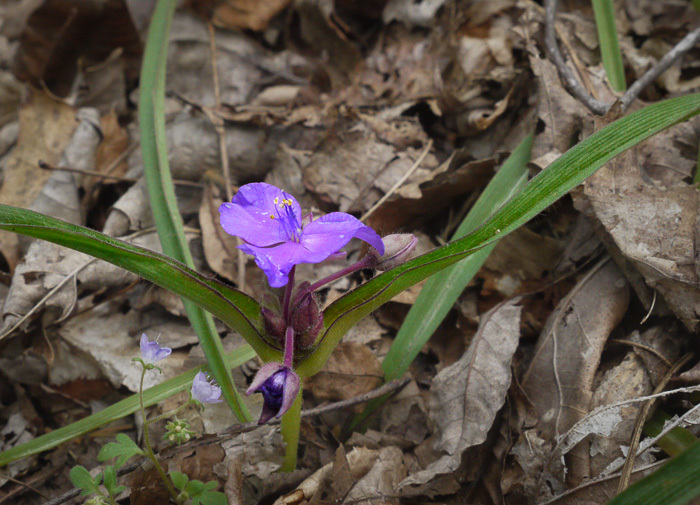 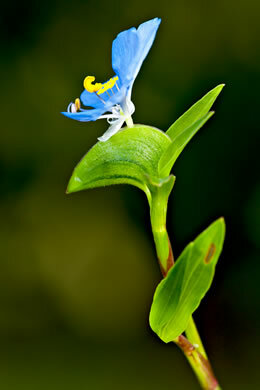 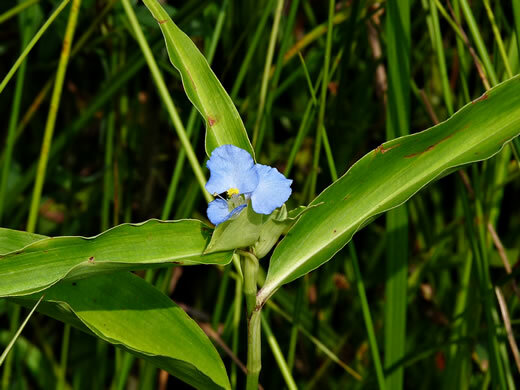 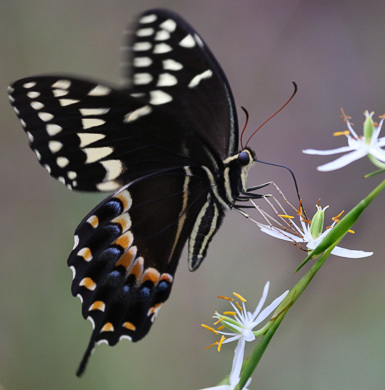 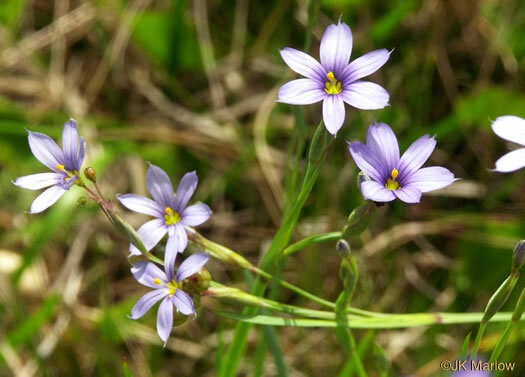 Spathes are sickle-shaped (falcate) and their margins are not fused, per Wildflowers of Tennessee. 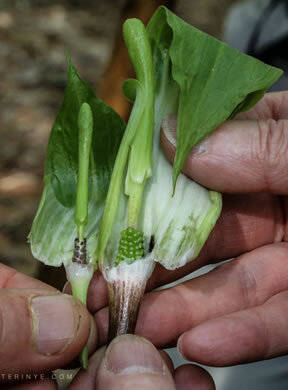 Spathes funnelform, often clustered, per Weakley's Flora. 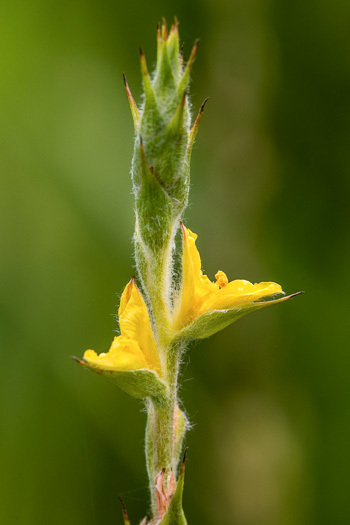 Bracts of the inflorescence large, spathelike, acuminate-aristate at the tip, per Weakley's Flora. 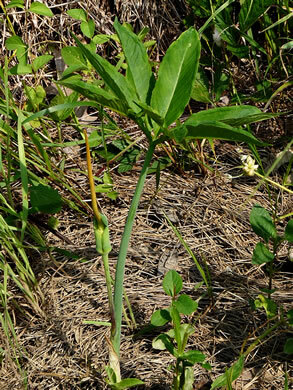 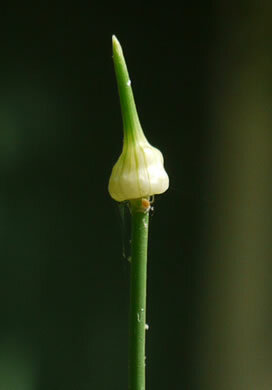 Scapes erect, terminated by membranous spathes and umbels of perfect flowers, per Vascular Flora of the Carolinas. 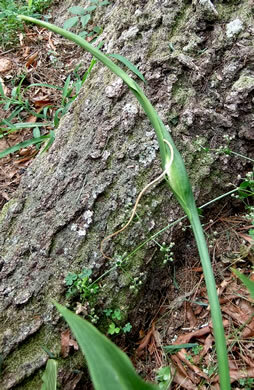 The umbel's subtending spathe splits open on 1 side for over half its length, per Vascular Flora of the Carolinas. 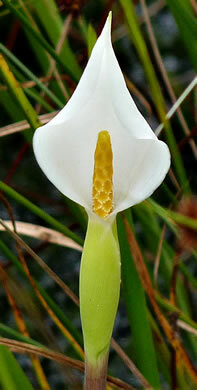 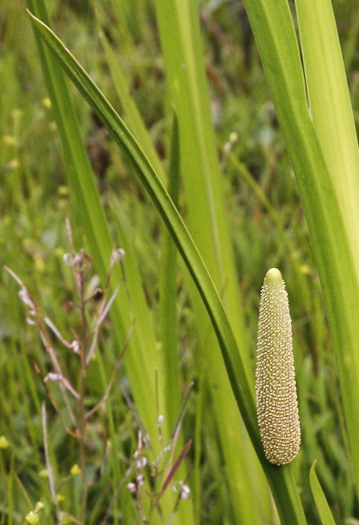 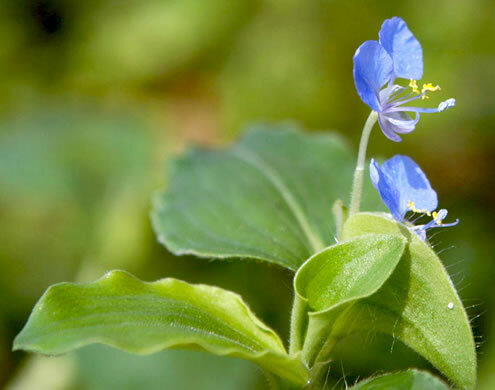 A single outer bract, 3.5-10cm long, subtends twinned pair of sessile spathes, per Vascular Flora of the Carolinas. 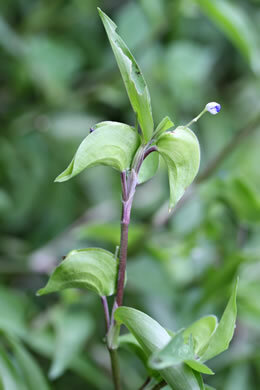 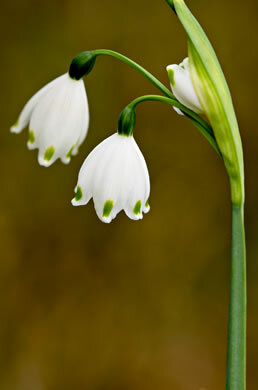 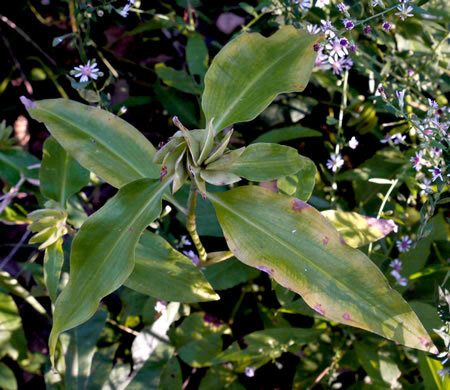 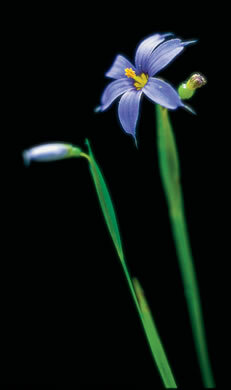 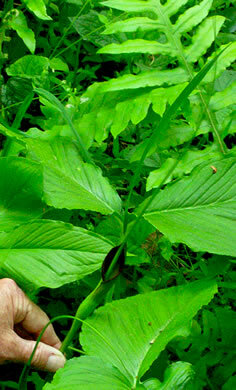 Stems much longer than leaves and usually branched, w 2 long-stalked spathes, per Wildflowers of the Southern Mountains. 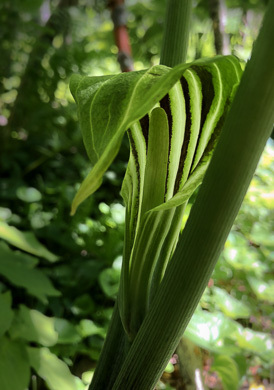 Your search found 37 image(s) illustrating the term "spathe."